Dental veneers are a great way to restore your smile if you're dealing with badly stained, discolored, or otherwise unsightly teeth. It’s one of the fastest and most effective ways to restore your smile. 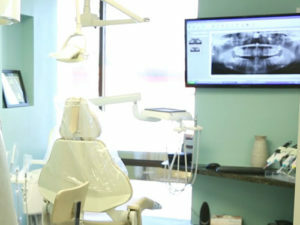 Your dentist will determine if you are a good candidate for dental veneers after a thorough examination of your mouth. When your veneers are ready, the dentist will call you in for your second visit. During this appointment, your dentist will remove a small portion of the tooth's enamel to make way for veneers. The dentist will typically give local anesthesia to dull any sensations during the procedure. Think you're a good candidate for veneers? Schedule an appointment with a dentist so that you can be evaluated. With veneers, you can have a perfect smile with only a few visits to the dentist.